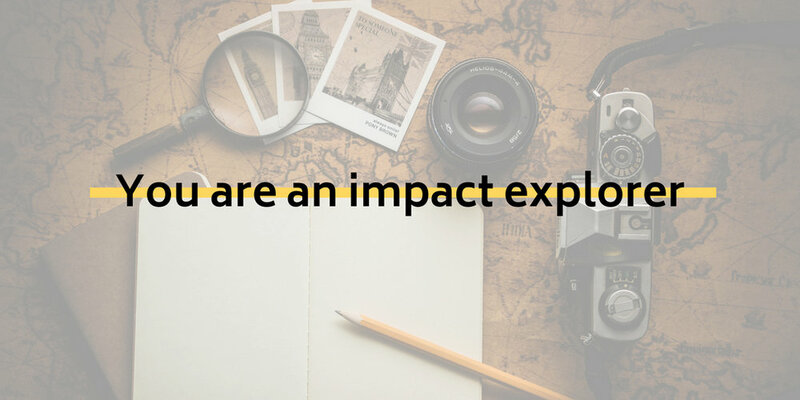 An impact framework is not built in a day, but having it high up your agenda and embedded in the culture of the organisation lays strong foundations and will make it less overwhelming to subsequently adopt aspects of impact management. It also shows your intentions both internally and externally and will attract people who share the same social purpose as you, which can only benefit you in the long run. Start by strengthening your objectives, your social mission, and laying out your logical pathway to change. Take small steps and it will be manageable. There are plenty of resources available to get you started. Have a look at the tips below - that are designed for all organisations with an “explorer” level, some might be more relevant than others to you. Feel free to get in touch if you want us to point you in the right direction, or if you want to challenge us on this quiz! Measurement can appear an overwhelming task at first but how would you otherwise make sure that you are doing a good job? How would you identify weaknesses and improve? Profit-focused organisations track their financial performance for a reason Impact is the primary purpose of your social organisation, so unless you are tracking these results, there is no oversight of your performance. Don’t forget however that collecting data is not an objective in itself. The data must be relevant. Many organisations struggle to identify the data they need to collect. 1. Once you have defined the main outcomes of your project, set up indicators to measure your performance for each outcome. At first, focus on a couple of key indicators per project. Be careful about the choice and balance of indicators: outputs show the effort of the organisation, not the impact. But outcomes without outputs to give context are meaningless.For more information about "What to collect", have a look at this website.